Complete maintenance order documents lighten your workload. 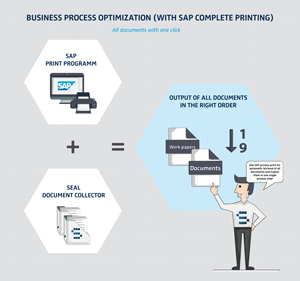 Therefore, SEAL Systems has created solutions to help your company supplement normal SAP documents with additional materials – such as drawings, work instructions, test procedures and protocols, safety standards, and manufacture documents. Whatever your tasks, we’ll find the right attachments for your maintenance and servicing work. The complete output of all documents makes work preparation simpler. Everything is together with the click of a button – and compiled in the right order as well. 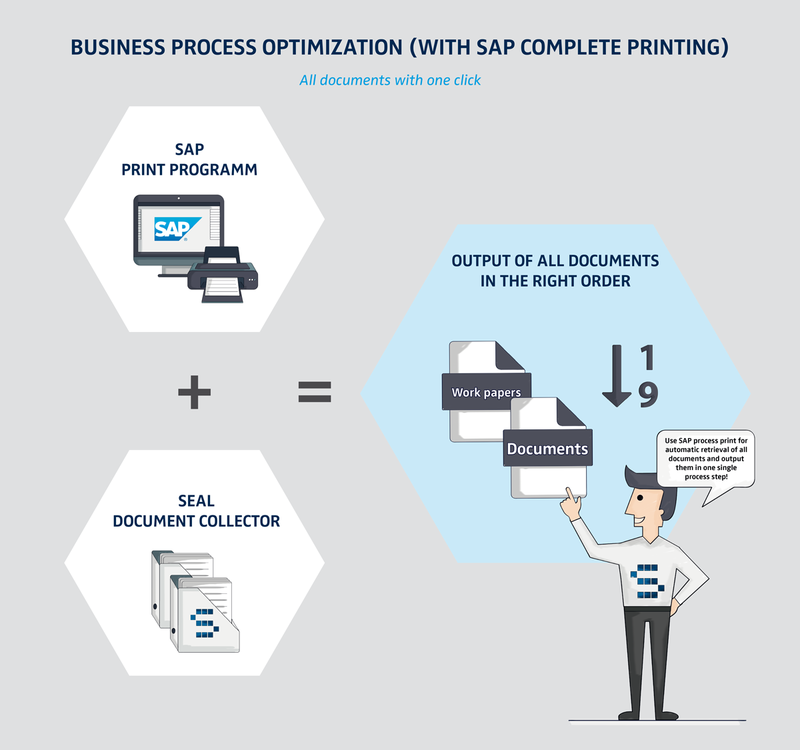 SAP printer output and all additional documents are distributed in one work process. Nothing changes for the end user! SAP standard procedures remain unaffected. As before, the document printing takes place at the release of the order. This also applies to single, multiple and batch processing. Can I inspect the list of all forms and documents before printing? Yes! And, if you want to add or remove anything, insert it or remove it from the batch. How do I find the right maintenance order documents? In SAP, supplementary information is linked with master data such as materials, parts lists, functional location, equipment or as production resources. Our process analyzes these links – according to different adjustable methods. Additional filters for file and document type can help you find the exact files you need. Print or electronic? This question is not so crucial, as you can switch between different methods at any time. Output over printer as a complete batch. Distribution is made even simpler by including additional information on endpapers. Or, do you want a distribution portal? Not a problem. SEAL Systems has the standard – electronic distribution as PDF – via e-mail attachment. We have an app for smartphones and tablets. 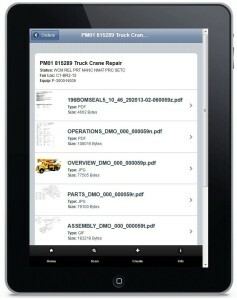 This allows you to pull up and view maintenance papers remotely. 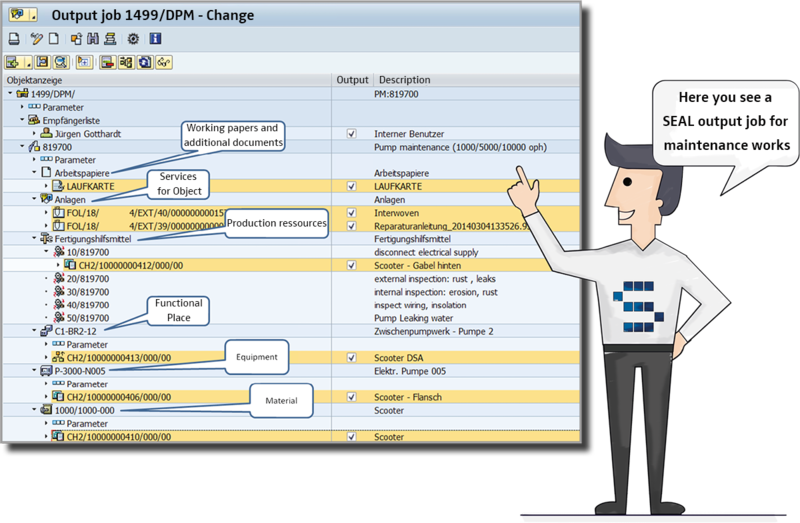 SAP has many ways to connect files with objects and processes. We support them all: SAP DVS, Object Services (GOS), ArchiveLink and Folders Management. If these are not sufficient, we can also turn to third-party management systems like SharePoint, OpenText, Teamcenter, filesystems, etc. We’re confident that we’ve also got your management system on our list. Should something go wrong, we’ll help you find the flaw in the process. The distribution is documented. In SAP, you can see what was delivered when and to whom. In addition, you can issue follow-up deliveries as well. All document batches can be provided with a timestamp. This also makes managing documents easier for the end user at his location. When additional documents come from a system with status and version management, many businesses want this validity information to be visible. How it works: an object or process-related stamps or watermarks are standard. Want a demo? Click on this image! The SEAL Systems app is helpful at the construction site and in case of incident: Notify4SAP. Here you can request the appropriate maintenance documents as a complete work package – all SAP forms and their corresponding documents and files. Just as with the integrated SAP application. What’s more: SAP reports can also be made immediately by smartphone or tablet. The mobile device’s location services are of assistance here. And, for example, photos can be attached to the report. This further helps to ensure that the head office the head office has all the information they need to find a suitable solution. These print processes with attachments are available for service contracts (IW32, IW38), functional location (IL02, IB11) and maintenance reports (QM02, IW52).